Digestive Problems...Do You Suffer Silently? Check out our patient testimonials under the 'About Us' tab. Don't forget to leave yours today! 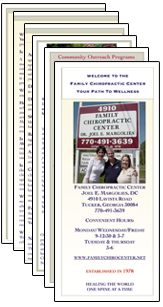 The Family Chiropractic Center, is dedicated to your Health and Wellness. Dr. Joel E. Margolies has been in active practice in Tucker since 1978, and was an instructor at Life University's School of Chiropractic from 1995 until 1999. 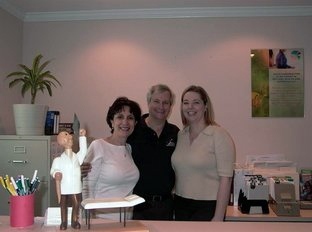 He and his entire staff welcome you to our caring and sharing facility. We hope that you, your family and friends will take advantage of our conservative chiropractic care as well as our many community educational programs. Please spend time on this webpage to browse and search through the many links to a world of Health and Wellness.